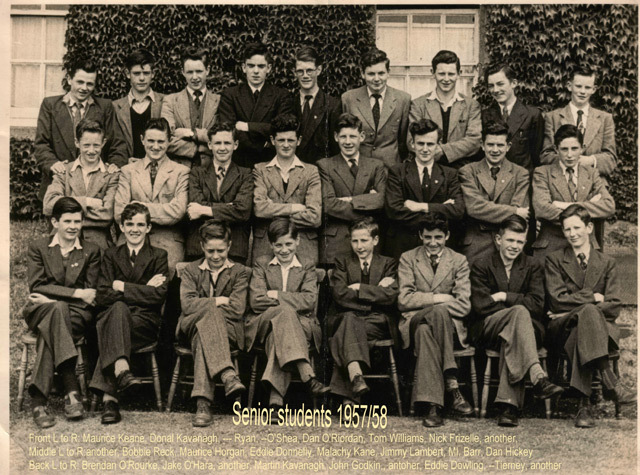 I received an e-mail and some photos attached from past pupil recently, a man who attended Good Counsel in the 1950’s. Rather than trying to paraphrase him, I include below his own account of the photos and of some of those pictured. 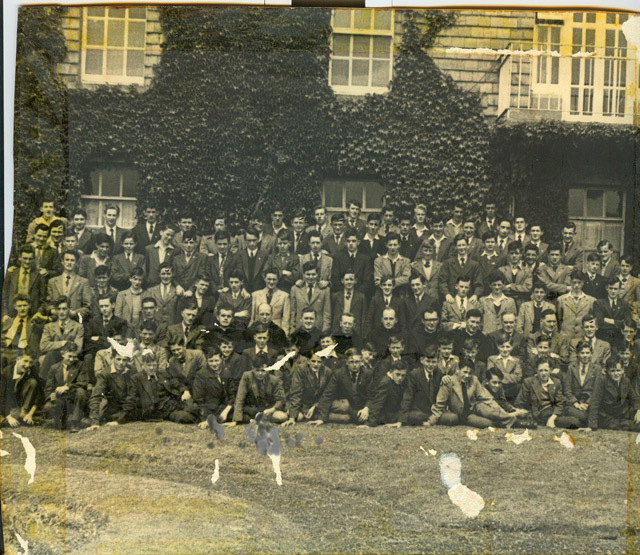 Obviously we would be delighted to post on the site any other material relating to the school from years past. 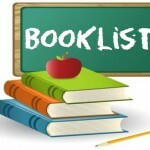 It helps mark the long tradition of the school and is of great interest to many who passed through. 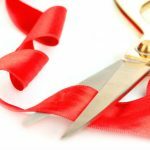 ”I enclose 3 photos. 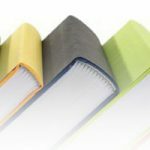 Two are of students. 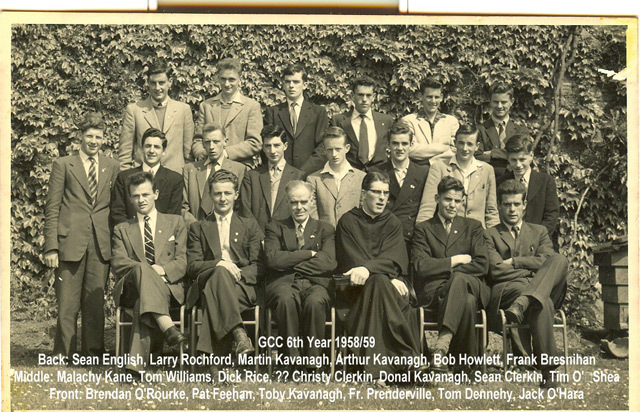 The Prefect System (where the prefects were supposed to be in charge) was introduced to GCC around 1957/58 by Fr. Jackie Power and the school was divided into three house, Villanova, Casca and another. One photo is of the Villanova house . 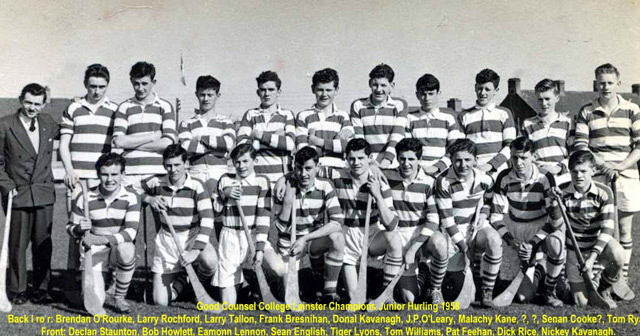 Another photo is of the senior students around this time and the third is the winning Junior Hurling Leinster team that beat Portlaoise CBS by 1-8 to 0-3 in the final in Dr. Cullen Park in Carlow. 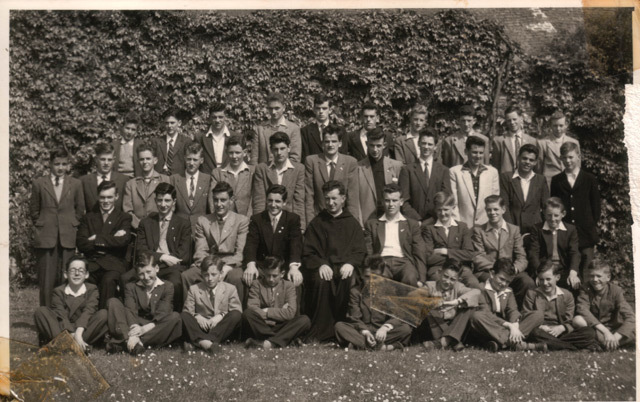 The following photo is of the GCC Leaving Cert class of 1958/59. 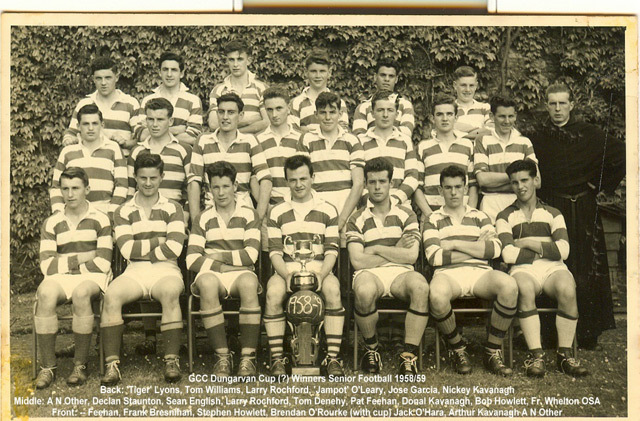 The photograph below is of the Dungarvan Cup winning side of 1958/59 and to the right is the renowned trainer from this time in the school’s history,Fr Whelton. The annual Dungarvan Cup games no longer take place, the last one having been played about 22 years ago, but there are growing links between the only 2 Augustinian schools in Ireland as the staffs of both colleges have an annual get together and representatives from both schools travel to the annual Augustinian Values Institute. In the current school year there was also a rugby blitz involving both schools and Austin Friars school fromm Carlisle in England.